Baseball is no doubt one of the most popular sports in Korea—old and young, male and female, there are no boundaries for the types of people who show avid enthusiasm for the sport. From a close and dramatic loss to Japan in the 2009 World Baseball Classic (WBC) finals to gold medals at the 2008 Beijing Olympics and the 2010 Guangzhou Asian Games, the South Korean baseball team has encountered immense success on the international stage. Despite its success in the past, however, the team faced an unexpected elimination in the 2017 WBC before they even played their third game in Pool A, the pool they were assigned. Games amongst teams in Pool A, which included Israel, Netherlands, South Korea, and Chinese Teipei were held in the newly built Gocheok Dome in Seoul from March 6 to 9. South Korea lost its matches against Israel and the Netherlands with a score of 1 to 2 and 0 to 5, respectively. The elimination of the South Korean team was finalized when the Netherlands won their match against the Chinese Taipei on March 8—even before the South Korean team even played their third and final game against the Chinese Taipei. According to the Joongang Daily, the team’s manager In Sik Kim said he takes most responsibility for the numerous losses faced by the team this year. Kim was the authority figure of the team, having led players to the semi-finals at the 2006 WBC and to second place at the 2009 WBC, and has decided to step down from his position as coach after this year. Another potential reason for the team’s relatively poor performance at this year’s WBC may be due to its lack of experienced players. Though the ones who played this year were also very skilled, according to Kim, many of the key players could not join because of their MLB spring training or because of injuries—the team would have been much stronger with the presence of players like Hyun-Jin Ryu and Shin-Soo Choo. 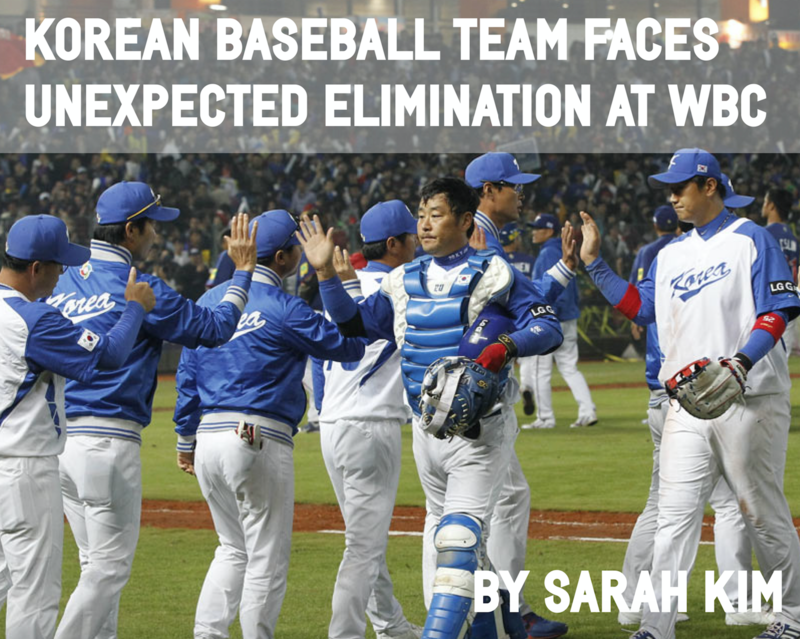 The Korean baseball team did eventually win against the Chinese Taipei with a score of 11-8, which means that it will not have to go through a qualification round for the 2021 WBC.